On entering his E-Mail ID (user name), and clicking on Submit button the user is presented with the Change Login Password Page. At this point of time the DSC of the user should have been inserted in USB drive of the computer. The user is required to Enter/ Re-Enter the new password and click on Sign & Submit button. 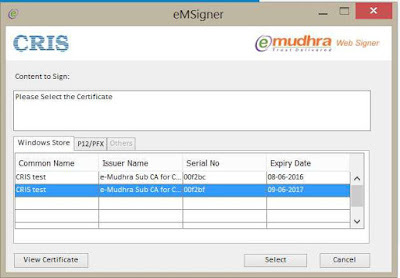 The user is required to select his DSC from the list and click on the Select button. If prompted to do so, the user is required to enter his DSC token password. This resets the user password. The user can login into the application using his username (Email ID) and the new password. 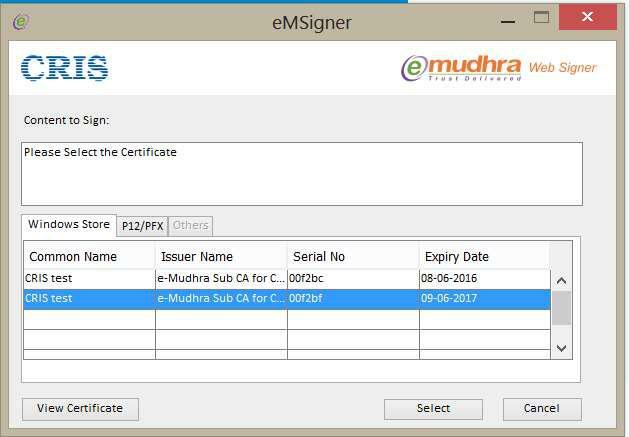 How to Make the TDC & EMD Payments for a Tender?